Dr Roy Montague Green was born in Ilkeston, Derbyshire on 25 October 1935 and attended Ilkeston Grammar School. Roy completed a BSc (Hons) in physics at Liverpool University and then moved to Canada to work as a trainee engineer with Westinghouse in Hamilton, Ontario, Canada. He then obtained his MSc and PhD degrees from Toronto University between 1957 and 1961. His research covered gamma ray spectrometry of extended sources, with particular emphasis on radioactive fallout and its route through the food chain into the human body. At the completion of his degree he moved to the Australian Atomic Energy Commission at Lucas Heights in Sydney, where he established the ‘whole body counter’, a system for measuring extremely low levels of radioactivity in humans and animals. His research included metabolic studies and other medical applications, and materials studies associated with the HIFAR reactor. After three years at Lucas Heights, he returned to Canada to become Laboratory Director and Director of Research Program Development at the RCA Laboratories in Montreal. He spent more than seven years at this lab, and said it was ‘very exciting work’ which, among other things, involved negotiations for big contracts with NASA, the US Department of Defence and other agencies. Seventy per cent of the lab’s support was from external contracts. 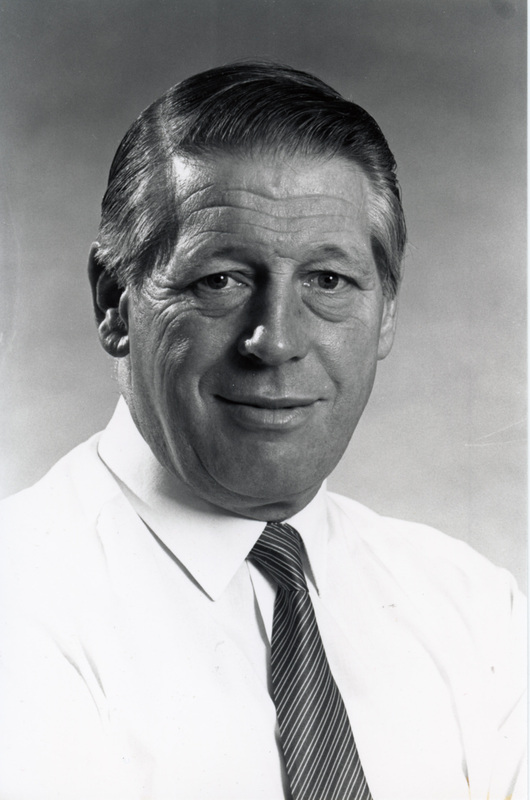 In late 1971 Dr Green returned to Australia, this time to Western Australia where he became the first general manager and director of WAITAID. He was responsible for industrial liaison and technology transfer between the WA Institute of Technology (WAIT) and its clients. He held this position for three years before coming to Canberra to become assistant director at the Bureau of Environmental Studies. In 1976 he became ASTEC secretary, and then in 1982 moved to the Department of Science. Roy joined CSIRO on 3 January 1988 as Director of the Institute of Natural Resources and Environment (based at CSIRO headquarters in Canberra). A particular interest of Roy’s was to enhance CSIRO’s (and Australia’s) involvement in the Asia Pacific region. He established the INRE Project Office and a company, the Australian Marine Sciences and Technologies Ltd., which incorporated all the marine agencies in the Commonwealth Government sector, to undertake environmental and marine research primarily in the Asian region. Roy ended his time at CSIRO in 1996 as Chief Executive of CSIRO. Roy served on many Boards and Committees both in Australia and abroad. Notably, he was the Australian delegate to the Intergovernmental Oceanographic Commission and the OECD Committee on Science and Technology Policy, he chaired working groups on Agriculture, Forestry and Fisheries, which reported to Government on Ecologically Sustainable Development, and chaired the Heads of Marine Agencies.